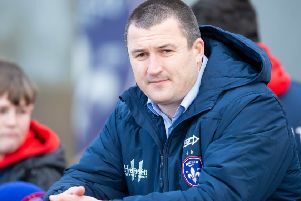 Chris Chester is hopeful that David Fifita will stay at Wakefield Trinity beyond the 2019 season. PIC: James Hardisty. Wakefield head coach Chris Chester. PIC: Allan McKenzie/SWPix.com. David Fifita crashes over for a try against Warrington last month. PIC: Jonathan Gawthorpe. "He is a really important part of this rugby club, the players love him, the majority of the coaching staff love him and the fans adore him. "I have had some really positive discussions with Dave over the last three to four days.